lower operating costs and reduced capital investment. AWTC Water Treatment Consulting (AWTC) is a full-service consulting firm catering to commercial, institutional, educational and health facilities to provide water treatment assessments and legionella prevention and control programs. Our staff of water treatment professionals is dedicated to providing unbiased, independent evaluations of the corrosion and fouling control programs that allow critical heat-transfer equipment to operate efficiently. As your consultant, AWTC independently performs a variety of testing and inspection services to document the on-going effectiveness of the water treatment vendors program. We initially benchmark the water treatment program performance, identify deficiencies and offer workable solutions to enhance and ensure optimal corrosion and fouling control. 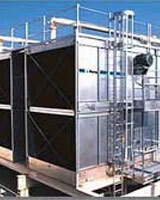 We also offer Legionella prevention and compliance consulting in New York City and State as well as other regions. The regulatory landscape since the Summer 2015 Bronx outbreak has become daunting. We offer maintenance program development and a cloud based compliance app: AWTC ASSURE. ASSURE allows you to manages by exception to preempt any situations that could lead to violations in New York City. The application will also adapt to future regulatory requirements, such as the anticipated domestic hot water regulations. We do not sell water treatment products or equipment nor are we affiliated with any water treatment services company. Our philosophy is based on a team approach, with the client, the water treatment vendor and AWTC working collaboratively. AWTC has been providing essential water treatment services since 1998.